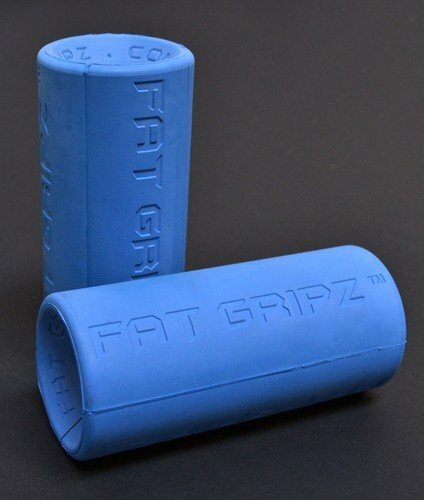 Fat Gripz are pretty popular in the fitness world. They’re a relatively cheap way to transform a normal bar to a fat bar – I know most commercial gyms don’t have such things. My initial reason for getting them was to increase my grip strength because it was not where it should be when I was dead-lifting, especially at heavier weights. Now you’re probably asking yourself why buying Fat Gripz might be a good investment for your training regimen. Just like your calves, your forearms are quite difficult to hypertrophy. If doing wrist curls at the gym has you bored, Fat Gripz are a great way to passively train your forearms and consequently your grip strength. A personal trainer at my local gym commented on my Fat Gripz and said, “They [Fat Gripz] are the best forty bucks I spent for training.” I’ve also had another personal trainer at the same gym comment on my forearm size when I was using them during rope triceps pull-downs. In short, Fat Gripz are exactly what they sound like. They are rubber grips that snap on to most regular sized barbells and dumbbells making them have a larger diameter. The larger diameter makes the hand have an “open hand” grip forcing you to engage the wrist-flexor muscles more than the normal bar diameter – as opposed to a “full hand” grip. Farmer Walks – These are killer!!! 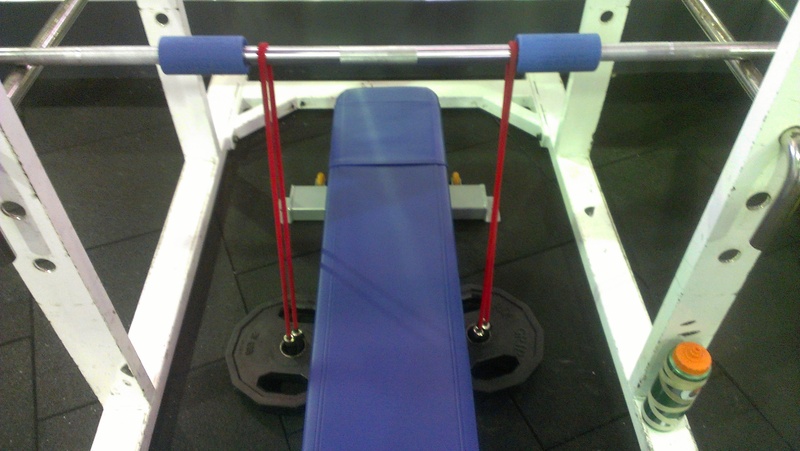 Fat Gripz on a bench-press set-up. The list can literally go on and on. The only cons that I can think of off the top of my head are the price and the degree of difficulty of putting on and off the grips on some bars. These grips are on the pricey side, but I think they are worth the investment especially when you can find them on sale – I remember I got them for $30 on Black Friday. The second con would be that the grips are sometimes a nuisance getting on and off the bar, especially when your tired and fatigued – but that alone shouldn’t deter you from thinking about using this product. Well, those are my thoughts on Fat Gripz. I think they’re a great way to passively work your grip strength and add another level of difficulty to your workouts. If your thinking about getting them, you can buy them here. Any thoughts, comments or concerns, leave them in the comments below.